Red Brick Chips are crushed to 1″ in size. 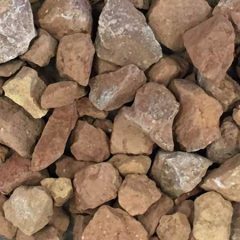 As a result of numerous requests, Greely now brings to you Red Brick Chips available in full cubic yard bags and half cubic yard bags. You ask, Greely delivers!